Take the chance to enjoy a wonderful experience accompanied by an expert tour guide for 4 Nights/5 days Nile Cruise from Marsa Alam to discover ancient Egyptian civilization along the Nile River where you will visit Luxor temple, Karnak temple, Valley of the Kings, Queen Hatshepsut temple, then sailing to Edfu temple & Kom Ombo temple. Finally visit Aswan High Dam, the Unfinished Obelisk, and Philae temple, then we drive you back to Marsa Alam. Book Now! Saturday / Monday / Thursday. Pick up services from Marsa Alam & return. 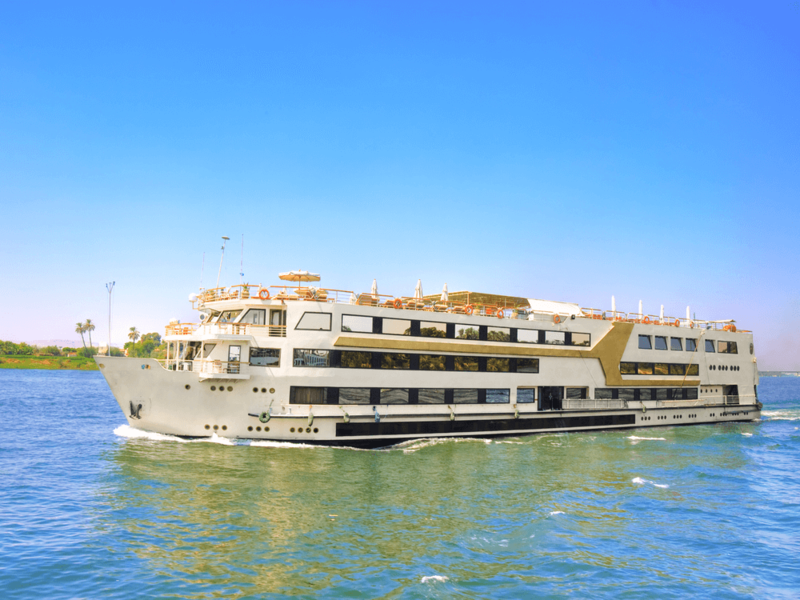 Four night accommodation at 5* Nile Cruise based on Full board. Mineral water on board the vehicle during your trip. The temple dedicated to goddess Isis of Love and beauty. The temple complex was dismantled and relocated to nearby Agilkia Island as part of the UNESCO Nubia Campaign project, protecting this and other complexes before the 1970 completion of the Aswan High Dam. Overnight on board.